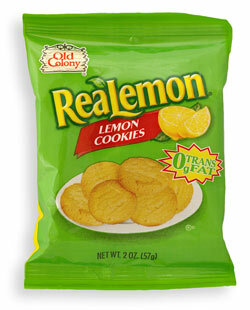 Fresh, aromatic and delicious – that’s our ReaLemon Lemon Cookie. It's light, crisp texture makes this cookie a refreshing choice when you need to satisfy that lemon craving. These treats are perfect on a hot day, or compliment a cup of hot tea when it's time to relax. Made with the juice from REAL lemons, and balanced with just the right amount of sweetness, we've created the quintessential lemon cookie. We dare say it's the best available. 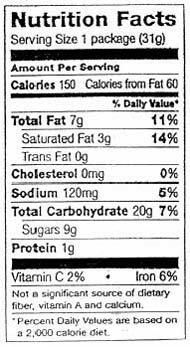 Ingredients: Enriched Wheat Flour (Wheat Flour, Niacin, Reduced Iron, Thiamine Mononitrate, Riboflavin, Folic Acid), Sugar, Vegetable Oil (Soybean, Palm, Canola), Water, Whey (Milk), Lemon Juice Concentrate, Baking Soda, Salt, Lemon Oil.